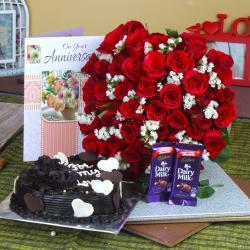 Product Consist : 50 Red Roses Hand Tied Round Bunch, 1/2 Kg Chocolate Cake, Anniversary Greeting Card along with 2 Bars Dairy Milk Silk Chocolates (Weight: 55 Gm Each). 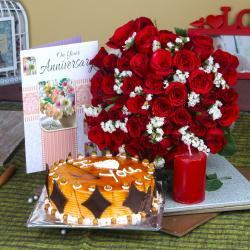 This Giftacrossindia Anniversary hamper is the best gift for your lover or for friend or for any family member. 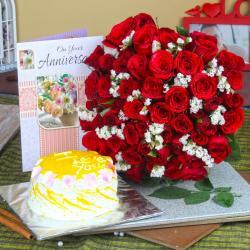 What can bring happiness to your heart than Roses, a symbol of love and care. Anniversary occasion is one time of the year when time and effort needs to be invested into finding a suitable gift, and a gift that is romantic, unique, or symbolic in some special way. 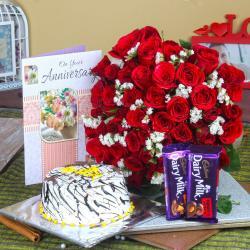 Delight your recipient's face with more happiness as this wonderful Anniversary Hamper is having Cake, Greeting Card and Chocolates too. 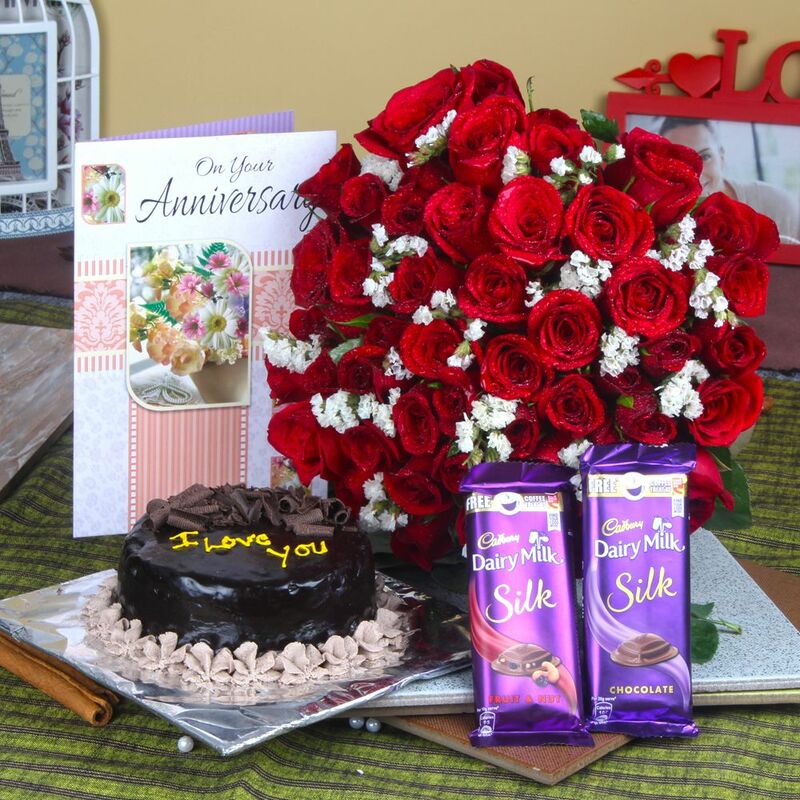 Product Includes: 50 Red Roses Hand Tied Round Bunch, 1/2 Kg Chocolate Cake, Anniversary Greeting Card along with 2 Bars Dairy Milk Silk Chocolates (Weight: 55 Gm Each).